Friday fitness is back with a vengeance! Let’s tackle that all-important food group: the snack. What’s that you say? Snacks aren’t a food group? Perhaps not, but if you eat smaller meals, need a little extra nourishment between feedings, or like a boost before or after working out, chances are you’ve had a snack sometime this week. The challenge is finding a snack that’s filling without taking the place of a full meal. Some like a small handful of nuts, cottage cheese or yogurt, or veggies and hummus. I love all of those options, but this week I was in the mood for applesauce. Not just your run-of-the-mill applesauce, either– the homemade kind! 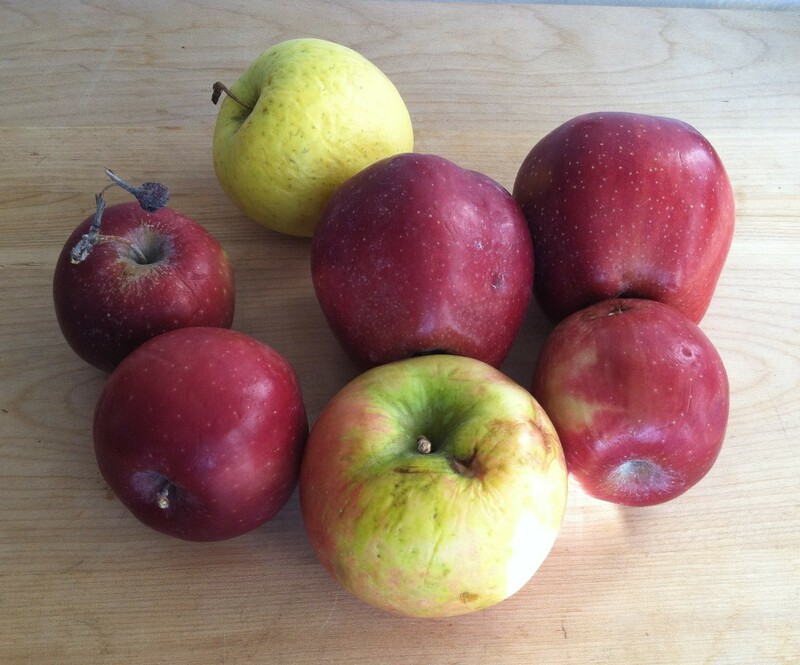 At the beginning of October, I went apple-picking. The orchard was beautiful, and I couldn’t resist getting the “20 pounds for $20” deal. However, a month later, the last few apples were starting to look a bit sad. However, sad raw apples can be quite good cooked apples. I wanted something simple, healthy, and satisfying, so I decided to leave sugar out entirely. Some recipes call for peeling the apples, but I find that to be unnecessary. As long as you have a food mill or strainer, the peels won’t be part of the finished product anyway, and they add a nice pinkish hue. I used an apple-corer to speed things along. 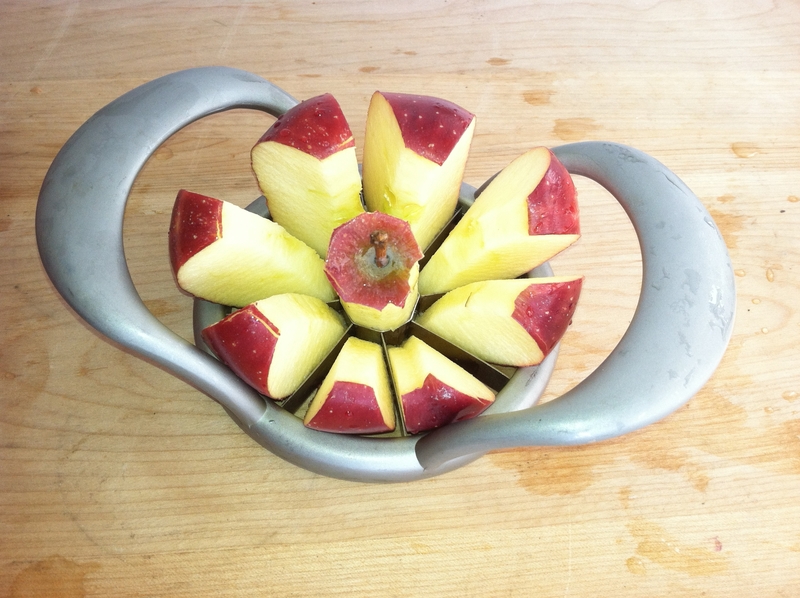 Using a corer that also divides is a great way to slice and seed your apples together! 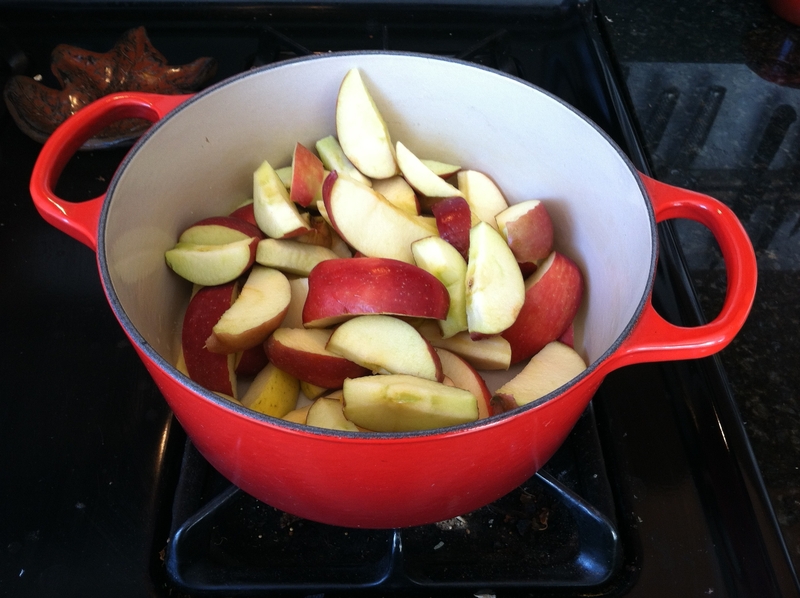 A nice side benefit of cooking with apples: your kitchen smells divine. I could smell fresh apples all the way out in the hall. Actually, be prepared for deliciousness at every turn. Your apples may be funny-looking, tired, or even bruised, but the magic of a little water and heat transforms them into a silky-smooth autumnal treat. If your only experience is with store-bought applesauce, I don’t blame you for thinking there’s no reason to devote an entire post to the stuff. Well, I’m here to tell you that the homemade version is worlds apart. The flavor is a thousand times more appley, the texture is the furthest thing from grainy. I’ll definitely be making another batch in December to jazz up my latkes. Use a food mill with the medium disk to puree and remove peels, or force the mixture through a sieve. 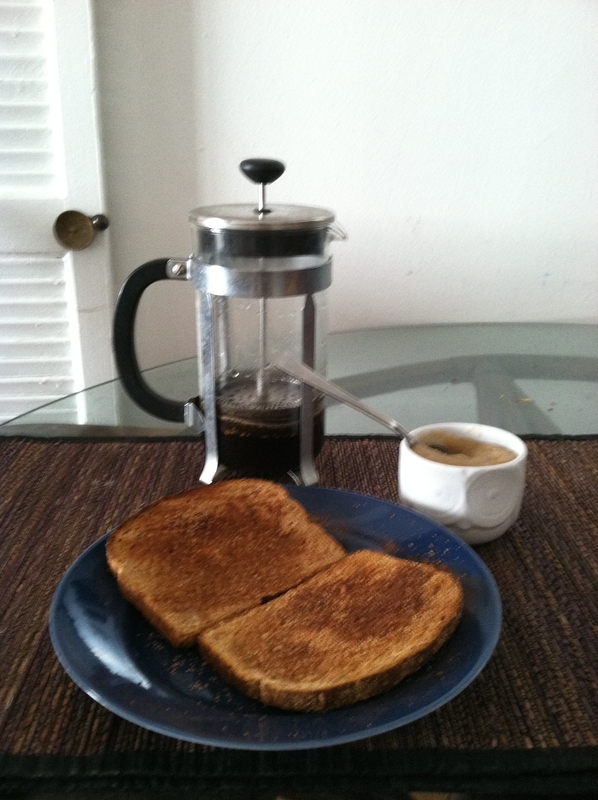 Enjoy plain or with a dash of cinnamon! 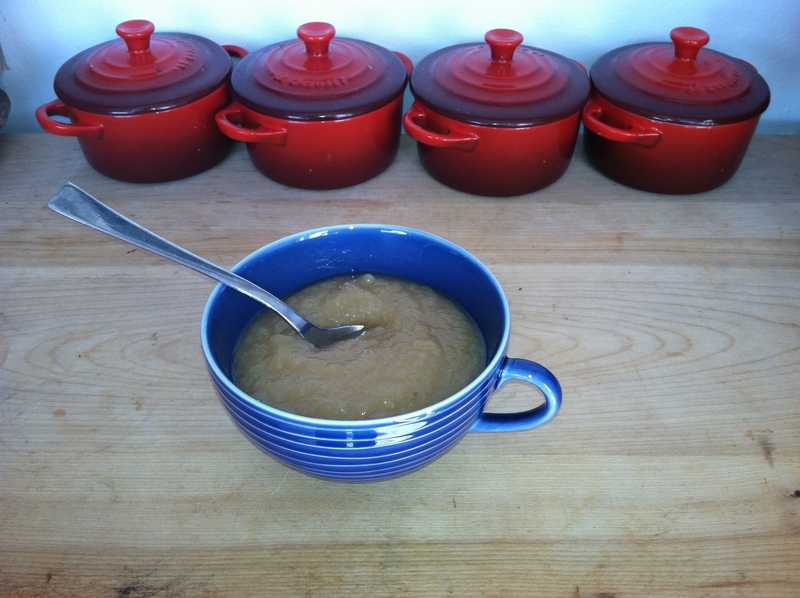 Applesauce should keep for at least 3 days in the fridge, or can be jarred or frozen. But for a small batch like this, I know I’ll eat it before it goes bad.